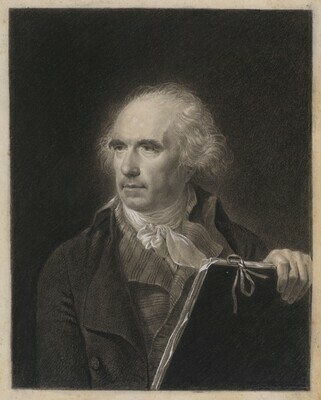 Private collection (sale, Salle des Fêtes, Villennes-sur-Seine, 11 April 1999, p. 2; John Morton Morris, London (of Hazlitt, Gooden, & Fox, London); gift to NGA in 2000. Nineteenth-Century French Drawings and Some Sculpture. Hazlitt, Gooden & Fox, London. London, 2000, no. 4. Six Centuries of Prints and Drawings: Recent Acquisitions, National Gallery of Art, Washington, D.C., 2004 - 2005 (no cat.). Renaissance to Revolution: French Drawings from the National Gallery of Art, 1500-1800. National Gallery of Art, Washington, 2009, 264-265, 291-292, no. 114 (color). Stein, Perrin, and Mary Tavener Holmes. Eighteenth-Century French Drawings in New York Collections. Exh. cat. Metropolitan Museum of Art. New York, 1999: 225, under no. 97.